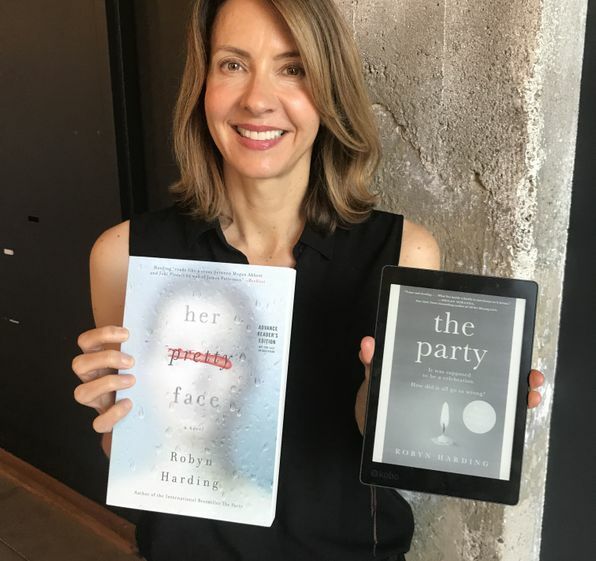 Kobo News | Author Robyn Harding on "Her Pretty Face"
Author Robyn Harding on "Her Pretty Face"
A tale of double deceit, but who can be forgiven and who cannot? In her newest novel, Robyn Harding explores the limits of friendship, and the lengths people will go to hide old secrets. Her Pretty Face comes to us on the heels of The Party, which was touted as “tense and riveting” by New York Times' bestselling author Megan Miranda. Robyn sat down with us at Kobo HQ to chat about her new book. So, the book is a story of two women. They're both moms. Their children go to an elite private school and they kind of don't fit in with the other moms, and because of this, they develop of an incredibly strong, supportive friendship. And unfortunately, one of them, maybe both of them, have very, very dark pasts; so, the theme revolves around what can and can’t be forgiven. The main character, Francis, has a son who doesn't quite fit in. What would be your advice to someone who doesn't fit a mould? I mean, I don't know how practical this advice is but you kind of have to stop caring. And I think what this book explores is how you only need that one good friendship. And in this book, unfortunately the one strong friendship goes completely to the dark side. You don't need to play the game and be the head of the PTA or invited to all the parties and the barbecues. What are misconceptions of stay-at-home moms? I guess it's probably that they just sit around and watch Dr. Phil and go to yoga. When I’m home, I'm writing all the time. I've got lots of stay at home moms in my neighbourhood and a lot of them do incredible volunteer work and help others in need. I like to work, but some people don't need that kind of outlet, and there's a lot of good that can be done if you have the luxury of that kind of time and flexibility. Coffee. I recently read that your brain will do anything you want if you put your mind to a task first thing in the morning, and I've been doing this for years. I get up, get a cup of coffee, and I go straight to work. I don't get dressed. I don't have a shower. I just work. That is my most productive and most creative time, because I’m not being bombarded with all the other things that happen throughout the day. When you write your books, do you plot out the entire story ahead of time? I was a screenwriter for several years and it taught me a lot about structure. I didn't do this in the past when I was writing my comedic women's fiction, but when I wrote my mystery, The Party and now with Her Pretty Face, I used screenplay structure to create a framework with key turning points and plot details to guide what I was writing toward. It keeps me from getting overwhelmed when writing the 300-odd pages of a book. What is a favourite book of yours? I was just telling my publicist on the way over that the book that made me realize I could actually write a novel was Bridget Jones's Diary. I had always written through school and college, and I would start to write a few chapters and think oh my gosh it's so arduous and too daunting of a task; I remember reading Bridget Jones's Diary and it was so funny. That was the book that told me I could be a writer, and my first novel was called The Journal of Mortifying Moments. It's a comedy, and it was so much fun to write while laughing away in my office. I’ve now gone to the dark side with my mysteries, but that was the inspiration that helped me become a published writer. The other day I was walking down 4th Avenue in Vancouver other day, and glanced in the window of a new-agey bookstore where there was a book called I Can Make You Sleep by Paul McKenna. I bought it, and now sleep like a baby. It sounds crazy, but read this book three times and listen to the associated sleep hypnosis podcast, and you will sleep. It's been a life changer. Before we go, one last thought. 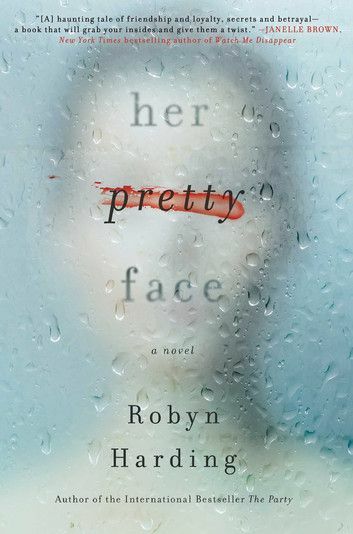 Her Pretty Face illustrates a story world reminiscent of Big Little Lies, which of course is now also an award-winning TV series. We love it. Oh, good! I adore Liane Moriarty. She's my idol, so that’s very flattering, thank you. If you’re a big fan of The Party or Big Little Lies, this is a must-read for your time at the beach this summer. Enjoy! Interested in similar content? Read our Q&A with author Lauren Weisberger, The Devil Wears...Lululemons?